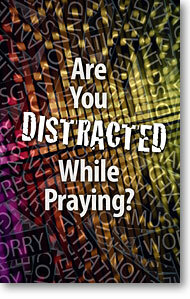 Are you ever distracted while trying to pray? I am! One minute I’m deep into intercession for a friend, the next I suddenly think to purchase Christmas cards today (triggered by thoughts of friends, you see). Why is it my thoughts can drift so easily? How is it possible to lose focus while in the presence of Almighty God? Such a frustration. Guilt-producing, too. Let it symbolize the presence of Jesus, our Light of the world, with us as we pray. Picture a quiet place with Jesus. For years my quiet time took place in the early morning hours before anyone else got up. For Bible study, I spread my books and papers across the kitchen table. For prayer time, I spread my arms across the table, visualizing Jesus sitting on the other side from me and holding my hands. Our current home does not lend itself to this arrangement. My quiet time space is in our guest room/office at my computer armoire. There’s no table to spread my arms across. I need a new visualization. 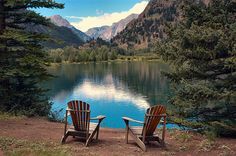 I can imagine Jesus and me sitting lakeside, enjoying the stunning view as I present my requests to him (Philippians 4:6). We can still “hold hands,” as I rest my arm on the arm of the office (imaginary Adirondack) chair. Keep the to-do list handy. When a task or errand comes to mind, like purchasing Christmas cards, write it down. Then those pesky thoughts beginning with, “Oh! Don’t forget to…” can be put aside. Pray about the distracting thought, if it’s related to a present concern. Even whispering the words may be enough to foster focus. The psalms work well for this exercise. Skim-read until a key word catches your eye. (If you’ve underlined meaningful passages, focus on those.) Chances are it will not take long to identify an applicable verse. 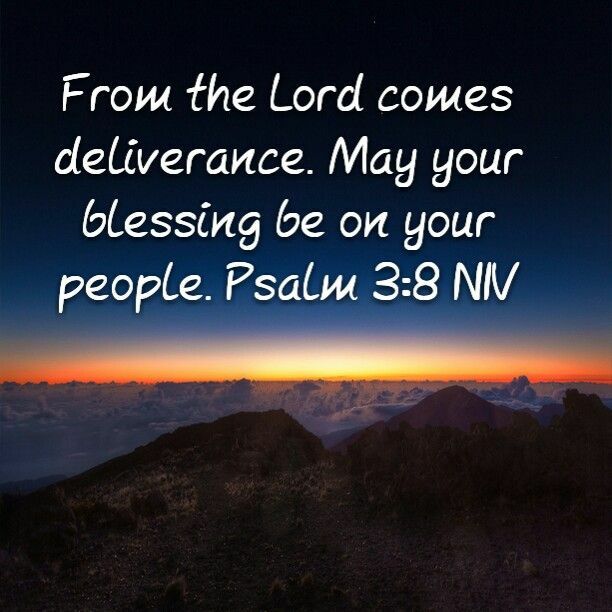 (“From the Lord comes deliverance. Oh, Father, deliver Emily** from her situation at work by removing her from that office, changing circumstances within the office, or giving Emily a fresh perspective that releases her from the stress. Surround Emily, I pray, with blessing: delightful coworkers who will bring her joy and affirmation, encouragement from her boss, and maybe even a raise! As my mind focuses on ways the verse might apply to Emily, I find distractions are held at bay. Yet, in spite of our best efforts, lapses into distractions will occur. I take great encouragement from the wisdom of St. Francis de Sales. Perhaps you will, too: If all you do is return to God’s presence after distraction, then this is very good prayer. Your persistence shows how much you want to be with God. How do you counter distractions during prayer? Please share your strategies in the Comments section below! Art and photo credits: www.printmytract.com; http://www.refiningtruth.com; http://www.pinterest.com (3). Thanks for the very good thoughts. Nothing makes satan happier than distractions and he seems to never stop but be persistent. We have victory in Jesus and saying His name. I recently in a Bible Study had the suggestion to say Jesus-Jesus-Jesus many time during the day. Found it very comforting. Love and Blessings to you and Steve. You are so right: “Jesus! Jesus! Jesus! There’s just something about that name!” Isn’t it amazing that just reciting his name has such power to comfort and strengthen? Thank you for your valuable input, Janet. Nancy, I like your list of how to tackle distractions during prayer times. One of my strategies is to use an acronym to guide me. ACTS–adoration, confession, thanksgiving and supplication. Often I change it to CATS if a needed confession is distracting me. I love acronyms–always helpful in triggering the memory. A great suggestion, Wendy! Oh, Ruth, I am so sorry about Charlie. Most assuredly God understands the upheaval, stress, and heartache you are experiencing right now. He is focused on Charlie, you, and the rest of of your family; you can rest in him without worry about being distracted. Much love and concern for you right now, Ruth. Monkey mind–that’s a new one for me! 🙂 I also like the idea of just offering up my distracting thoughts to God and not get stressed out over them; just pray through them as they occur. Thank you, Jean! ALL of these ideas are so wise, Nancy, especially the part about keeping a to-do list handy. C.S.Lewis said something similar once, I believe. I’m VERY distracted while thinking/praying/processing and I find for me praying at the end—afternoonish–of my day makes it easier to focus when all the ‘must-do’s’ have been done and I can settle in. Great idea–choose a time of day when distractions will be minimalized. Thank you, Jody! When I saw the topic of this post I put off reading it because I didn’t want to be distracted as I eagerly embraced this subject. Distracted while praying…happens to me a lot! (It is kind of a relief to know it happens to others, too!) I am immediately moved to utter and pray satan out of my way! I never considered that I should address the distraction with prayer and then move on back to my time with Him! Comforting post, Nancy! Thank you, Cheri. Praise God you found the post meaningful!